Anatoly Beloshchin is a professional photographer, journalist, explorer, diver and specialist in martial arts. At the age of 12, Anatoly was carried away with photography, diving and began to study martial arts. Gran prix & 2 Gold medals of the international photo & video competition "Golden Dolphin"
Several personal photo exhibitions held. Active collaboration with many magazines around the world including: Maxim, News Week, Sport Diver, Scuba Diving, Invertum, Unlimit Depht, DiveTek, Octopus, Neptun, Diving BG, Echoes of the Planet etc. Author of dozens of articles on photography, explorations, diving and tourism. Participant of many advertising, television and information projects including collaboration with the Philippines Department of Tourism, Guam Visitors Bureau, Jordan Department of Tourism, Nippon Television Network Corporation (NTV, Japan), PANASONIC (Advertising), ROBOT COMMUNICATIONS INC (Japan), Fashion TV, SEIKO (Japan), 1 Channel (Russia), Russia-Sport, Ren-TV, Streem-TV, MirTV, TV channel "Warrior" etc. Member of the National Speleological Society (NSS). Experience of diving around the world from Arctic Circle to Antarctica. The preference in diving is the exploration of underwater caves. Member of many research projects. Author of 4 educational films. Participant of dozens of documentaries and many TV programs dedicated to martial arts. 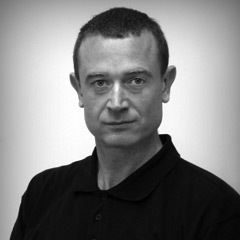 Film producer of the project «10 Dan». If you have interesting projects (advertising, expedition trips, publication of articles and photos ) - Please contact me.